Jasper the Grasper, drawn by Trevor Metcalfe, was a miserly Victorian grouch always plotting to make a golden guinea or save a precious penny. 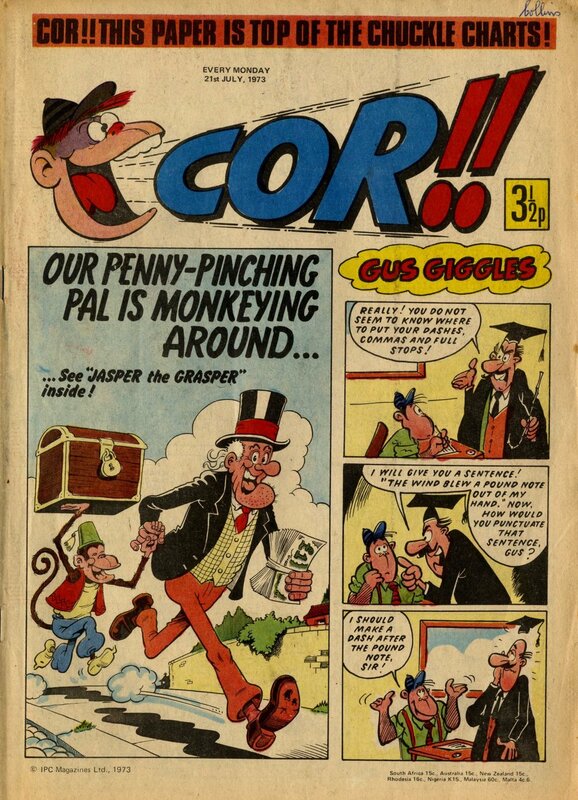 Jasper was created by Ken Reid for a few issues of 60s comic Wham!, and later revived by Metcalfe to become a favourite in the pages of Cor!!. Jasper the Grasper, On This Day, Wham!, Cor! !